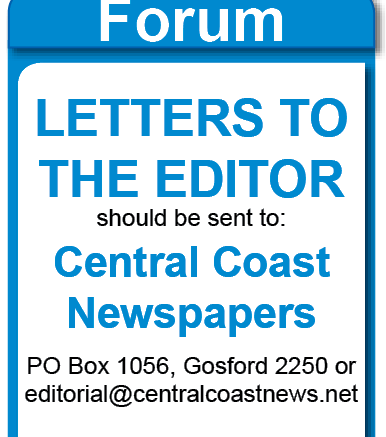 [Forum] I am deeply perturbed with what I have seen happening in Gosford CBD of late, and the draft Development Control Plan (DCP) exhibited. Issues of concern are: Traffic flow and parking, particularly as there is no evidence of, or reference to, any study undertaken by the Local Government or State Government in conjunction with the new zoning and planning criteria, and none available to the public for local approval. Unlimited density heights of buildings in key areas; overshadowing of public areas, especially Kibble Park and Central Coast Leagues Park; wind tunnels created by future buildings allowed in the CBD; lack of additional parking facilities for commuters, shoppers, businesses and loading zones; no limit on number of storeys in some locations in the DCP; ignoring past unpublished economic feasibility study 2017/2018 recommending building height not exceed 10 storeys; DCP unelected bureaucracy has removed many of the controls recommended; the proposed changes in this DCP will lower everyone’s quality of life and not attract visitors or locals to our much valued and attractive waterfront on Brisbane Water. The DCP has taken away our Local Government Act 1993 which states the Council is charged with the responsibility to engage with its local community and charged to provide strong and effective leadership, planning, decisionmaking and governance. It is Council’s responsibility to revitalise the city centre with due process involving the community, both business and residents. Removing the current developers’ contributions of 4 per cent of the value of the development, which was meant for Council’s critically needed Infrastructure) lowering this to 3 per cent, but only passing on to Council 1 per cent of the value of the development. Council is the best place to make local planning decisions, not the State Government bureaucrats who do not live in the area. The proposed changes in this DCP are of serious concern. The revitalisation of the city centre is the responsibility of the democratically elected Council in consultation with the community. Where should CBD expansion end?